In our efforts to support higher education, we are offering three 3D Cell Explorers in a bundle with up to 30% discount! This offer is valid until June 30th 2019. 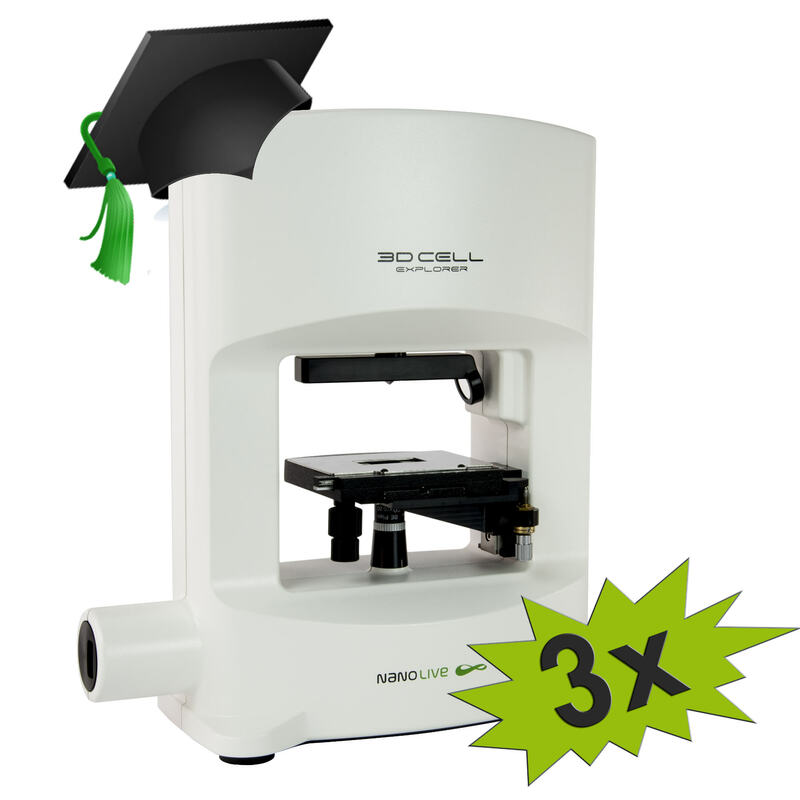 The 3D Cell Explorer’s non-invasive technology allows your students to observe living samples in 3D at high magnification and with a 200 nm resolution (3-10x higher than compound light microscopes) in less than 2 seconds. Being a label-free imaging tool, the 3D Cell Explorer measures the physical properties of a cell (i.e. its Refractive Index) – with no staining or preparation required. A top-notch research tool, allowing unique new observations and discoveries, available for undergraduate teaching at an affordable price with the added bonus of saving costs on reagents! Learn more about Nanolive for Higher Education here: https://nanolive.ch/higher-education/. Contact us today to secure your special offer at education@nanolive.ch.